Starbucks claims there are more than 170,000 ways to customize the drinks on its menu, and after the "rainbow drink" craze on Instagram this summer, it's clear people are getting pretty damn creative. As you can imagine, Starbucks baristas also come up with their own delicious drinks amid the caffeinated chaos, and now, the coffee giant is actually featuring the creations as new "Barista Originals." For just two weekends -- October 13-16 and October 20-23 -- more than 7,500 Starbucks locations across the country will highlight drinks developed exclusively by baristas serving at the front lines of American's coffee addiction. 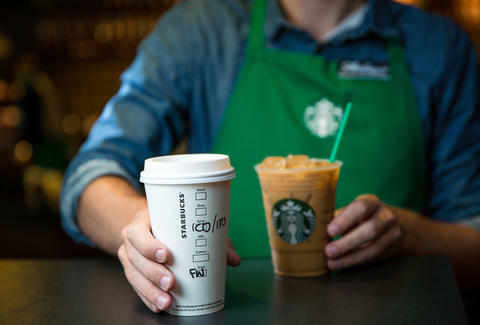 Specifically, each participating store will feature unique beverages based on five recipes submitted by baristas and selected by Starbucks' marketing team, according to a press release. And as a spokesperson explains, the drinks will likely vary from store to store, depending on what they choose to create. Pretty cool, right? Certainly beats having another basic PSL. Tony Merevick is Cities News Editor at Thrillist and used to create some WILD drinks when he was a Starbucks barista in college. Send news tips to news@thrillist.com and follow him on Twitter @tonymerevick.